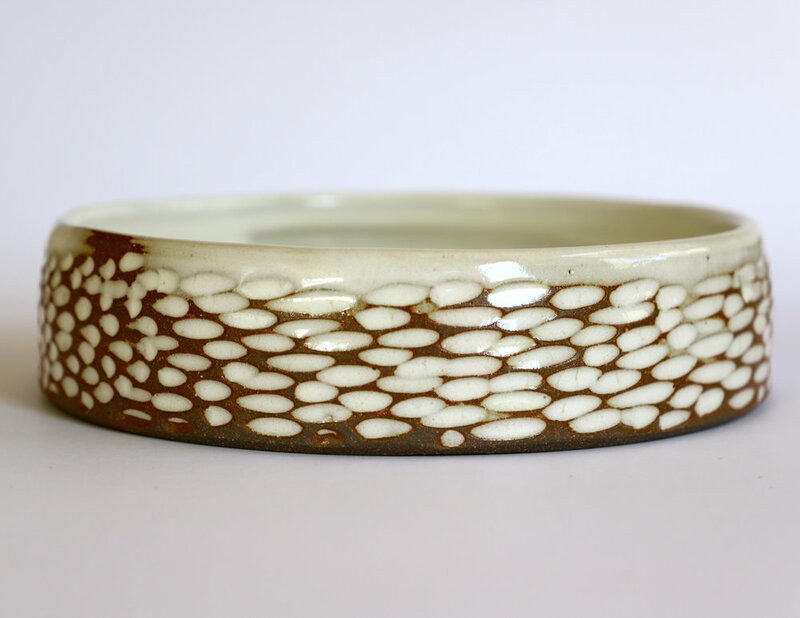 All ceramics are handmade by me in country Victoria and are high-fired to stoneware. Each piece is robust and dishwasher safe. I have been a potter now for nearly a decade, my main attraction to the wheel being a strong connection to the earth. A keen gardener with a budding interest in permaculture, I feel that the earth is both giving and sustaining. From the earth, our sustenance grows and it has a genuine and responsive feedback mechanism. If we treat it well, it gladly reciprocates and our destiny foretells to it we shall all one day return. My work is largely functional and serves as a daily reminder of this honest relationship. It’s made to use and be enjoyed with every meal or to add an extra degree of pleasure to the small breaks we allow ourselves throughout the day. I had been searching for pottery for some time without really even knowing it. Having spent years in a multitude of jobs and courses, academic and vocational, long and short, I came upon pottery in 2010. With a husband whose (now realised) dream was to open his own restaurant and a love of food and function, it was quickly and hungrily identified as the right fit. My formal education came through studying for a diploma of ceramics in both Holmsglen and Chisolm TAFE in 2011 & 2012. 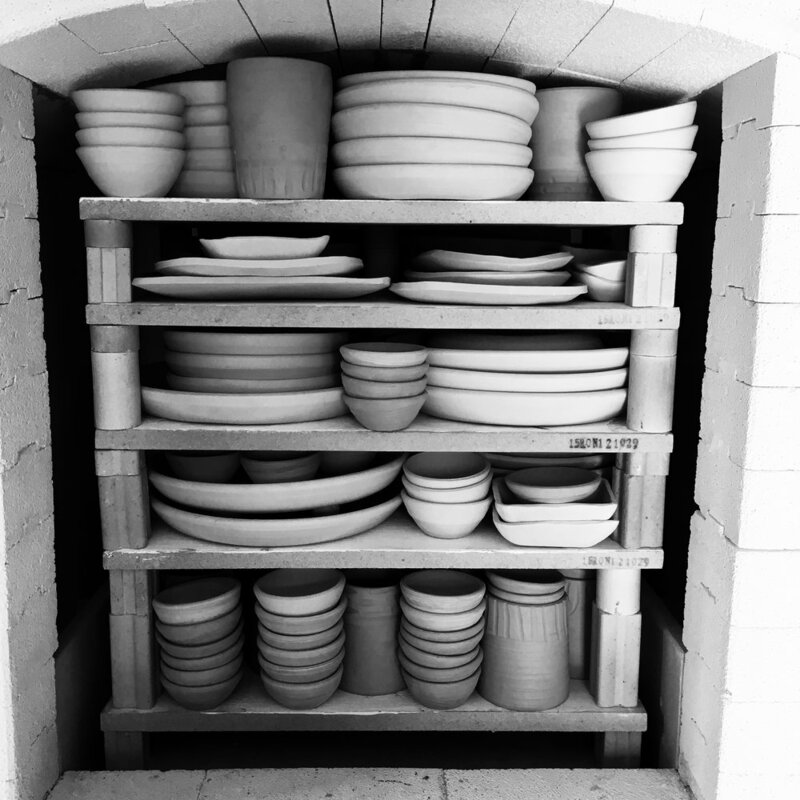 After this, kiln purchased and studio set up at home, my real practice began. I have been fortunate in that my work has graced many of Melbourne’s top restaurants as well as daily use around the homes of Australia. My studio and residence are currently in Kyneton, one hour north of Melbourne in the beautiful Macedon Ranges and I'm only too happy to open it by appointment. All of my pots are handmade so individuality is championed & uniqueness cherished. You will find anything I currently have for sale in the link to my online shop. I do not undertake many custom orders but if you would like to talk to me about what I may have coming up, you can email or call me on the details below. If you are more tactile than visual in your buying habits and fancy a trip to lovely Kyneton, an hour north of Melbourne, I'm happy to open my studio by appointment.